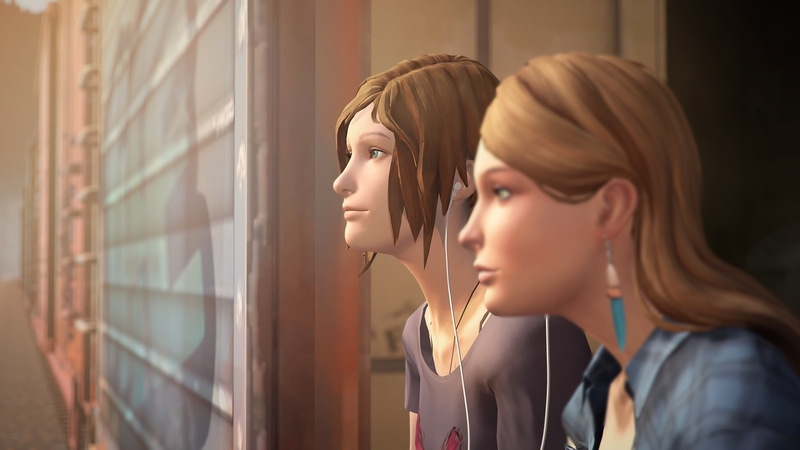 The plot of Life is Strange: Before the Storm revolves around Chloe Price and Rachel Amber. Both attend the Blackwell Academy in Arcadia Bay and supposedly belong to different social groups within the school’s network. While Rachel is one of the most popular students, Chloe barely has any friends as her only friend Max has left town. Their respective characters raise the question how and why these young women have become friends and whether there is more to their relationship than the mutual search for friendship. The game offers an answer on a subtle and metaphorical level that foreshadows dark and dramatic events and lets us surmise the truth behind Rachel Amber, which perhaps involves murder, abduction, and manipulation. This text spoils events of the first episode of Life is Strange: Before the Storm as well as the climax of Life is Strange. At the beginning of the episode, Chloe is grieving and irascible. She has recently lost her father, who died in an accident and the loss of her best friend weighs heavily on her mind. The game shows the distorted and surreal perception of the world through a teenager’s eyes, someone who is looking for love and recognition, for a meaning in life and an adventure that opposes the dullness of Arcadia Bay. However, Chloe’s thoughts that are uttered when she is looking at something display her childish mindset as well as her intelligence and insecurity. The better we get to know her and the more monologues we hear, the clearer it becomes that Chloe is deceiving herself. Superficially, she glorifies juvenile rebellion, which is reflected in the Backtalk-Challenge, the game’s mechanic to let players have a greater influence on dialogue and to continue the plot, even offering novel directions. Yet, her problems go beyond pubertal identity crisis as she fluctuates between reluctance and wrath on the one hand and the desperate need for attention and affection on the other hand. This is the basis for a friendship with Rachel Amber, a girl we yet have to understand. Rachel Amber is mysterious and exhibits a similar ambivalent behaviour. She is part of theatre class and considers herself an actress. She is well known in school and everybody seems to adore her. The first episode of Before the Storm depicts the relationship between Chloe and Rachel, who meet at a secret party, where Rachel rescues Chloe as two shady men threaten her. They befriend each other to which the rest of the school reacts cautiously and incredulous. Both seem reckless and vacillate. Moreover, they amplify each other’s desires and anger, hence both get into trouble later that episode. Rachel has convinced Chloe to cut class and take a freight train to a national park. After spotting a man, supposedly Rachel’s father, kissing an unknown woman, Rachel is furious. However, she later returns to Chloe, whom she has left at a junkyard they found on their way home. Rachel and Chloe are going to and fro, always changing the way they behave and talk to each other. The first proper scene where we witness a conversation between the young women takes place at the freight train. Rachel suggests to play two truths and a lie. The player has the option to cheat, alluding to the possibility that Rachel herself could cheat as well. Furthermore, the game could be considered an easy way to gain somebody’s trust by allegedly telling them something about one’s personal life. Chloe and Rachel converse and talk about how much they hate Arcadia Bay, their dreams they had when they were children and hopes they have for the future. The situation appears intimate, which makes Rachel’s sudden attempt to befriend Chloe even more suspicious. Besides speculations like these based on dialogue, the game offers additional hints. For instance, there is the raven. 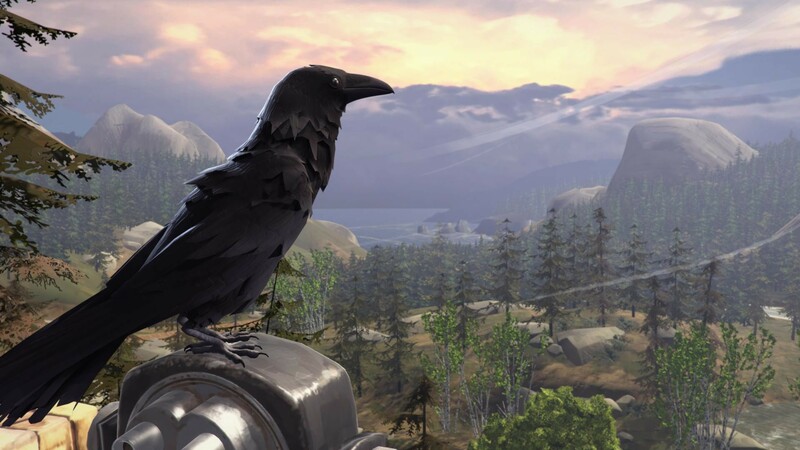 The bird was already shown on one of the screenshots released prior to the game’s release, which might indicate its importance. Interestingly, the raven symbolises ambivalence – it can either stand for death or for reason. While the protagonists lacks the latter, death is omnipresent in Chloe’s life as she has recurring dreams about her father’s accident. Additionally, as I already explained, ambivalence is something Chloe as well as Rachel display repeatedly. After episode 5 of Life is Strange we expected that Rachel has been murdered by Mr. Jefferson, the understanding yet treacherous photography teacher, who kept girls in a secret room, where he drugged and photographed them. Now bare with me, but here is a bold thesis: Rachel Amber is not dead. Instead, she left town for good after helping Mr. Jefferson to find girls to harass by befriending them and gaining their trust. 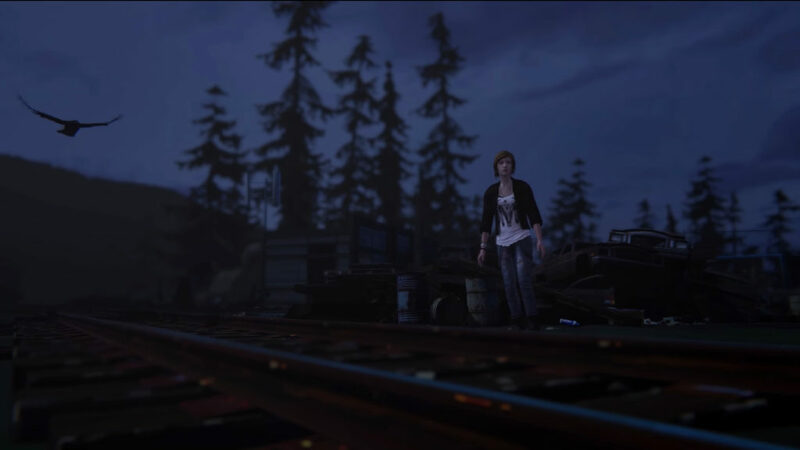 How else did the photography teacher know about the junkyard, where he shoots Chloe at the end of episode 4 of Life is Strange? The first episode of Before the Storm shows how Chloe and Rachel find this junkyard. The game thematises trust, but we never scrutinise Rachel’s intentions. Just as she seems to be understanding and friendly, Mr. Jefferson acts like the nice guy whom you can trust. Speaking of acting: throughout the first episode, acting is suggested to be lying, indicating once more that Rachel might not be who we think she is. More evidence for this thesis can be found by examining the raven’s meaning and where the symbol can be found. At the platform in the national park, Chloe can look at a totem pole. The placard beneath says: The raven is to be respected, never trusted. Thus, trusting Rachel Amber or anyone else in this game might end dramatic. The end of the first episode foreshadows such a dramatic ending. Rachel burns a picture of her and her father, puts it in a bin, but kicks the bin so that nearby tree catches fire. The burning tree and ultimately the whole burning forest exhibit Rachel’s equally ruthless and destructive attitude. This event itself has already been foreshadowed, implying that the game actually employs this technique. Chloe has dreams about her father’s accident, which help her process what has happened. The second dream shows Rachel multiple time, standing in front of a tree, which is a warning of future events as is her ignition – she actually burns a tree. The raven can be found several times within this dream: on the poster of The Tempest, a play in which Rachel has a role, or on the steering wheel. The raven appears so often that it cannot be a mere coincidence. It shows up every time something in Chloe’s life happens that alters it drastically. This makes the following question even more peculiar: Who is the woman that Rachel’s father kisses, why does she watch the forest burn and smiles doing so and is there a raven on her shoulder? The title of the first episode, “Awake”, suggests some kind of epiphany. But who awakes? Is it Chloe, who realises that Rachel has manipulated her? Is it the player, who eventually recognizes the same? Is it a reference to the beginning of the episode? An allegory for coming of age? The acknowledgement of one’s powerlessness concerning the decision that can be made and the following obscure consequences? The first episode of Life is Strange: Before the Storm proposes some curious thoughts, which we will hopefully see resolved by the end of the third and final episode. tbh I see the raven as the coming threat, or as you said, the death itself. I pretty much believe the raven resembles Mr. Jefferson himself. Appearance and the meaning of being the death fit into this thinking. It is also paired with the talks of Rachel and Chloe about their future. We know they don’t have any because of their death. I understand your assumption of Rachel not being trustworthy, but in Episode 4/5 (can’t remember) of Life is Strange, we find a dead body, we know Chloe is strongly missing Rachel and as they find the body Chloe is devastated. This can’t lead into a climax of LiS: Before the Storm revealing Rachel is not trustworthy. In addition, the dead body has to be Rachel. It also fits with the depressive emphasis on the characters future (the talk in the wagon).